The Art Museum area is the focal point of the Philadelphia art scene, with scores of museums, galleries, and studios scattered throughout the neighborhood. The largest of these is the Philadelphia Museum of Art, which has been providing thought-provoking pieces for locals and visitors alike since 1876. The internationally renowned museum houses 240,000 items representing artistic expressions from around the globe, some of which date back several centuries. The Philadelphia Museum of Art isn’t the only artistic outlet in the area. The Rodin Museum showcases the famous sculptor’s works as well as other pieces from around the world, while the Barnes Foundation explores art expressed through horticulture, too. With so much focus on creativity, it’s no wonder that the neighborhood offers lots of green space for creative minds to find inspiration. 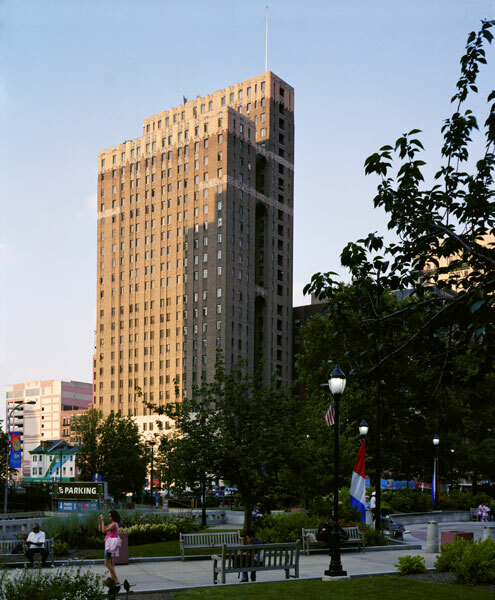 From the gardens surrounding to the Philadelphia Museum of Art to public parks every few blocks, Art Museum area apartments in Philadelphia allow residents to be close to outlets where they can exercise both their brains and their bodies! That’s a goal that The Metropolitan shares. With its limestone, terracotta and hand-carved architecture, the building retains the beauty of its original 1920s design, which art lovers will find both thought-provoking and mesmerizing. While it hearkens back to an earlier time, it’s also fully updated, with a state-of-the-art fitness center and gym, renovated kitchens and even a rooftop deck featuring breathtaking views of the city skyline. Art Museum area apartments in Philadelphia should both innovate and inspire, and The Metropolitan seamlessly does both.